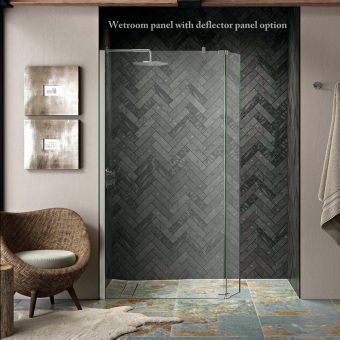 Add a little Victorian flair to your bathroom with this Roman Decem Victoriana Print Wetroom Shower Panel. 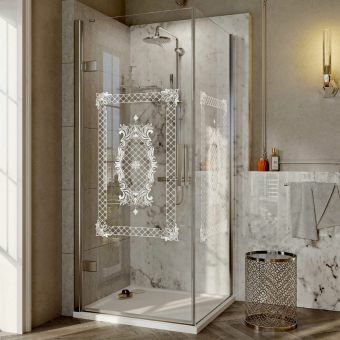 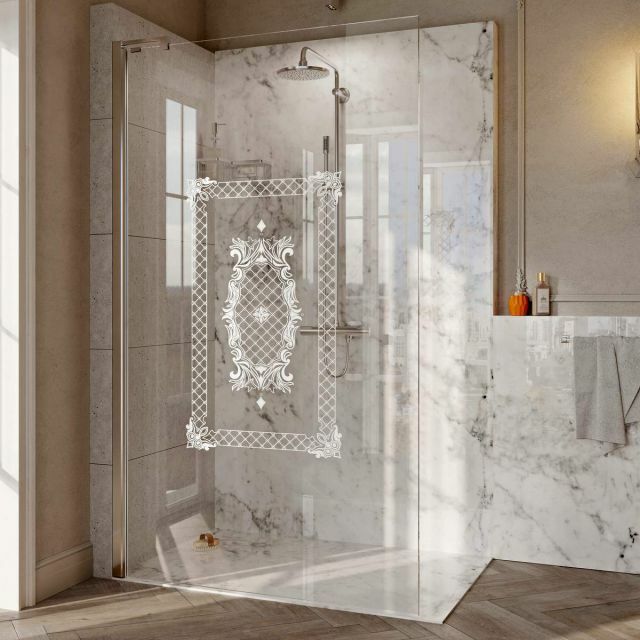 Using bespoke production techniques developed by Roman Showers, they have been able to seamlessly print a white vintage design onto the glass to give it the look of a modesty panel without being too intrusive. 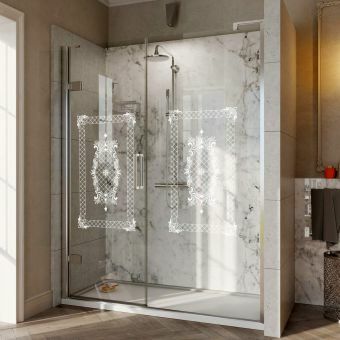 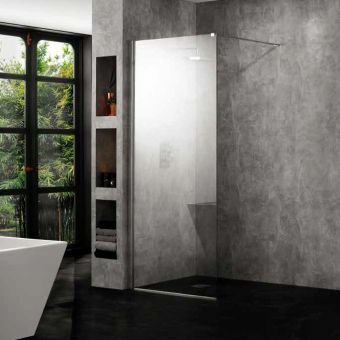 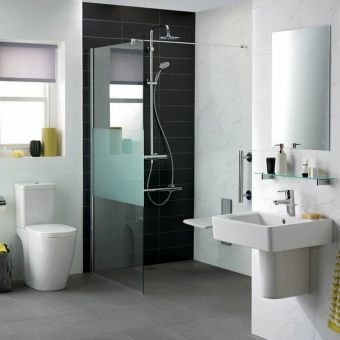 The tough 10mm glass is the trademark of the Decem range and with two widths on offer, this enclosure will be the jewel in the crown of your new bathroom design. 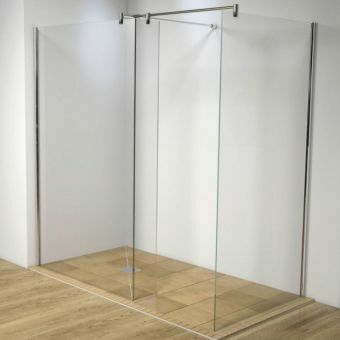 The panels stand an impressive 2000mm tall with 900 and 1200mm widths and to give extra strength, a bracing bar has been included as standard. 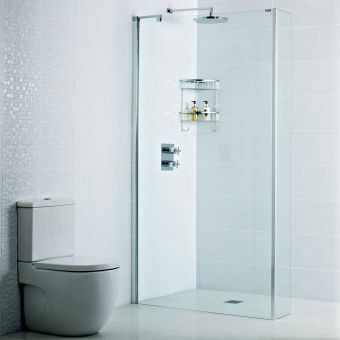 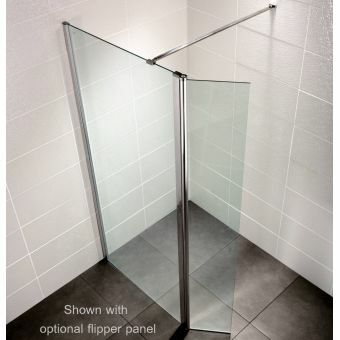 All the glass is coated with Roman's Ultra Care glass protection to assist in cleaning plus you can also specify an optional deflector panel in one of two sizes which will help keep stray splashes out of the floor drying area. 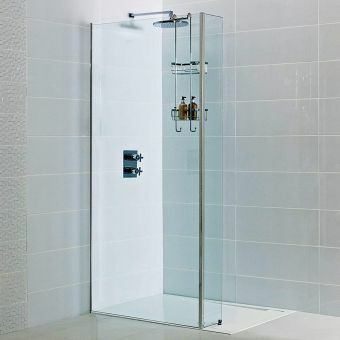 The balanced proportions of this panel can be used with a traditional shower tray or fitted straight to the floor for a real wet room look.